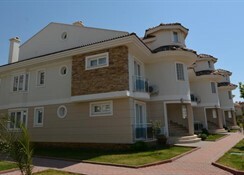 The Blue Green Residence at located 300 metres from the Calis Beach, Blue Green Residence features an outdoor pool and a garden with palm trees. 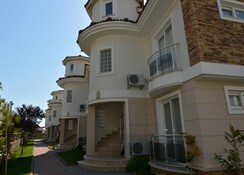 Apartments are well-decorated and include free Wi-Fi. A satellite TV, air conditioning and a furnished balcony are standard in all apartments. There is a living room with a sofa bed, private bathroom with a hairdryer and a washing machine. Each apartment also has an equipped kitchen with an oven, refrigerator, stove, as well as a dishwasher and an electric kettle. There is bar on the site of Blue Green Residence serving refreshing drinks and snacks. Guests can benefit from bicycle rental, tour desk and a 24-hour front desk service. Local businesses offer water sports activities such diving. 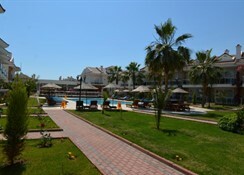 Enjoy the sun on the sun loungers by the pool area. 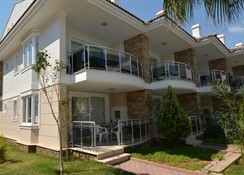 Dalaman airport is 48 km from Blue Green Residence. A shuttle service can be arranged upon request for an additional fee. Free private parking is possible on site.